Bitcoin will bottom out after totaling a plunge of 85% since its all-time high, says Anthony Pompliano. 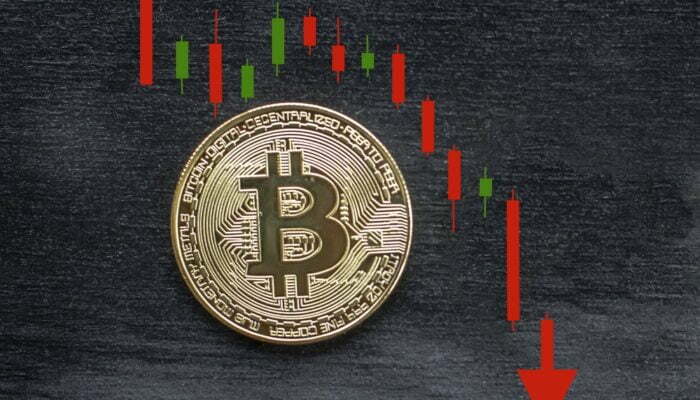 The Morgan Creek Digital Partner told CNBC during a grilling interview that it is normal for Bitcoin to undergo bear cycles every once a while. He acknowledged the digital currency’s relevance as a secure transaction settlement layer, adding that such use cases would never let Bitcoin become a worthless asset. The digital asset expert predicted that Bitcoin should bottom out at $3,500, or at least $3,000. The financial forecast mirrored what eToro’s Mati Greenspan stated in his Sunday’s tweet, calling $3,000-3,500 a potential support range. While bullish sentiments prevail among the top analysts, Bitcoin continues to record new yearly lows. On Saturday, the digital currency dropped below $4,000 to establish its lowest level since September 2017. At press time, Bitcoin is already down by circa 80 percent, trading at $3,730. The CNBC panelists questioned Pompliano about why an investor who has already lost a considerable portion of his investments in Bitcoin market should expose himself again to its volatility and price uncertainty. “Where is the new incremental buyer if you washed the whole lot of them in the past year,” they asked. Pompliano responded by saying that during the 2017 bull run, most of the buyers were retail buying through exchanges. The market witnessed a surge across crypto exchanges that didn’t have large investors putting their money. Similarly, the same exchanges are reflecting a crash when retail traders on them are selling their assets than buying them. Adding further, Pompliano drew the panelists towards the over-the-counter exchanges. He explained that Bitcoin prices on these trading platforms continue to be unknown to all. At the same time, institutional investors are more likely buying their digital currency assets in huge numbers via OTC trades. “I think what you are seeing is a washout of retail investors and institutions are entering the space from a different route,” Pompliano responded. The panelists somewhat cut Pompliano in the middle of his talk and drove the conversation to Bitcoin mining. Fearing that miners were losing money, they asked Pompliano why the Bitcoin network could be considered trustworthy when the cost of minting one BTC unit is now more than the value of BTC itself. Pompliano responded by saying that the cost of mining could only be decided based on input and energy costs. Citing China, the analyst explained that mining bitcoin continues to be cheaper in the country owing to their low energy costs. Similarly, miners belonging to countries with subsidized or lower power tariffs could still make profitable mining rewards from the Bitcoin network.